To a Scout, summer camp is the greatest adventure that Scouting holds. It can be particularly exciting for first year Scouts. 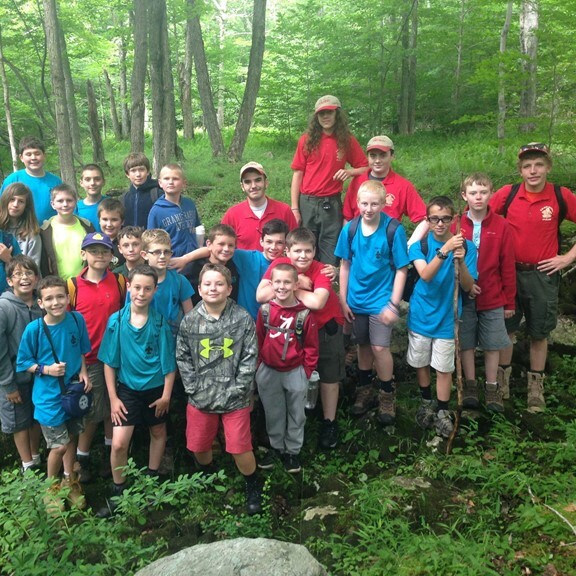 The Trail to Adventure (TTA) program is Camp Minsi’s premier first-year camper program. The program offer the opportunity for Scouts to work on many of their early rank requirements. They’ll practice knots, build fires, go hiking and swimming, and learn to use an ax and pocketknife. The daily 3-hour program runs a mirror schedule, meaning that the same program is offered in the morning (9am to noon) and again the afternoon (2pm to 5pm). 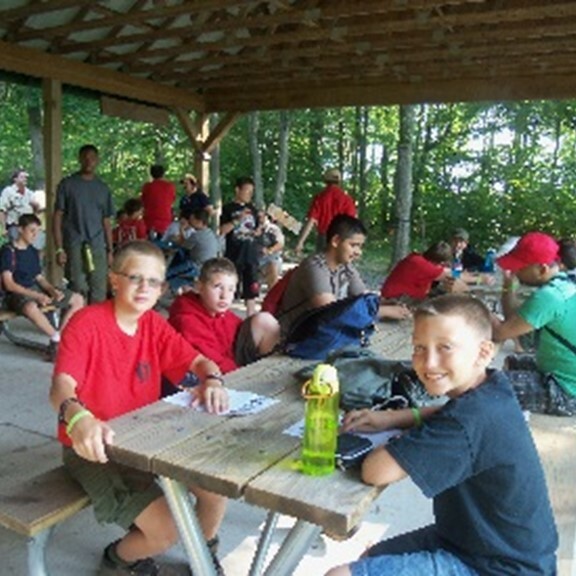 Scouts can pick which session they want to attend for the week and fill the other half of their day with merit badges and other open programs offered throughout camp. During the course of the week, Scouts will build many of the skills necessary to earn the ranks of Scout, Tenderfoot, Second Class, and First Class while also building teamwork, leadership, and Scouting skills. However the main goal is for the Scouts to have fun and to leave camp with a positive camp experience and enthusiasm for the Scouting program. A special Trail to Adventure patch is awarded to all Scouts who complete the program. The Trail to Adventure program utilizes the patrol method. The week starts with Scouts being divided into patrols and choosing a patrol name and cheer. Scouts will learn the history of the American flag, as well as how to fold, raise, lower, and care for the American flag. Scouts will visit several program areas in camp as they complete various requirements and get an introduction to Scouting and summer camp. Additionally, Scouts will review the rules and guidelines of safe knife, axe and saw use in order to earn their BSA Totin’ Chip cards. On Monday evening, all first-year Scouts in camp are invited to the shooting ranges for the TTA Super Shooter. 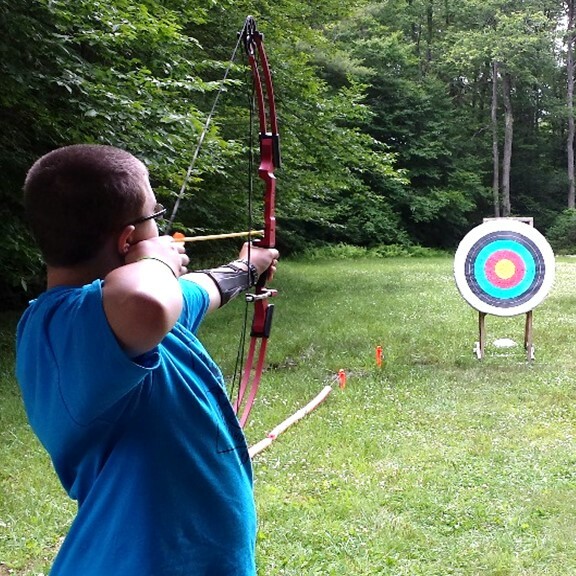 This special program allows new Scouts to get special shooting experiences at both the rifle rage and the archery range. 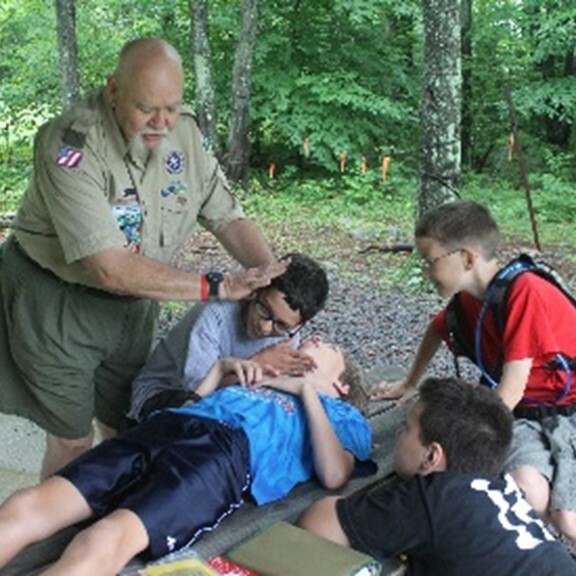 Scouts will learn and demonstrate first aid skills and how to be prepared in emergency situations. Scouts will depart on Camp Minsi’s interactive First Aid Trail! They will come across various stations throughout camp featuring real-world first aid scenarios and will be asked to apply their first aid knowledge and skills. The center of the week features a special backcountry hike in the backwoods of Camp Minsi. Before departing, Scouts will review important hiking safety tips and basic map and compass skills. Scouts are expected to bring proper footwear for this hike along with at least one full water bottle. On Wednesday evening, TTA Scouts will take part in a special outpost. 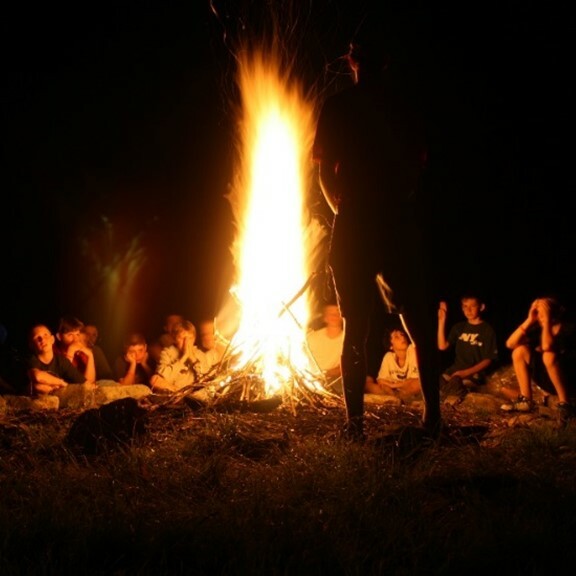 They will demonstrate their fire-building skills, cook their own dinner, learn the principals of Leave-No-Trace, and spend the night as a group away from their troops. Scouts will review the rules and guidelines of fire safety in order to earn their BSA Firem’n Chit cards. Scouts should be prepared and bring a sleeping bag, water bottle, and a ground-cloth or tarp to sleep on. On Thursday, TTA will travel to Waterfront for a variety of aquatic-based activities. While at Waterfront, Scouts will learn the principles of the BSA’s Safe Swim Defense and Safety Afloat. Additionally, Scouts will learn and demonstrate various water rescues, boating skills, and have an opportunity for some free swimming in Stillwater Lake. Friday is all about knots. Scouts will learn how to tie basic Scout knots: including the square knot, bowline, two half hitches, taut-line hitch, and the clove hitch. 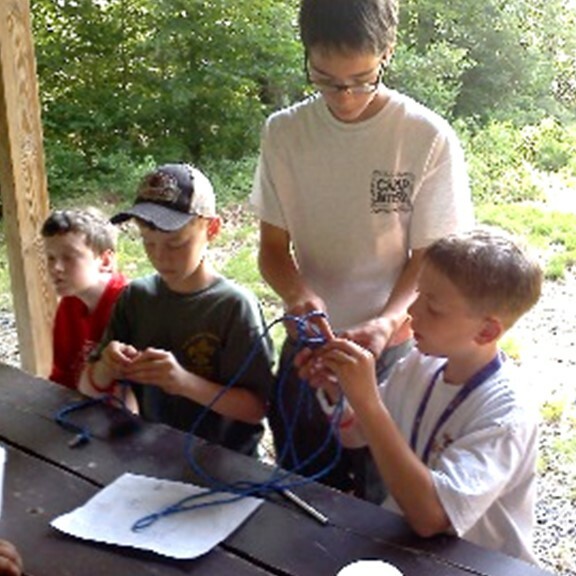 Scouts will also learn how to care for and whip and fuse rope. The week will conclude with Scouts reviewing the skills they learned throughout the week and giving back to Camp Minsi and doing a “good turn” by completing a camp improvement service project. Merit badge instruction is not part of the Trail to Adventure program as TTA itself is only a half-day program. This means that Scouts can spend the other half of their day earning merit badges and participating in other programs throughout camp. There are lots of great merit badges for a first-year camper to choose from. Some good merit badges for first-year Scouts to consider include: Art, Basketry, Leatherwork, Fishing, Mammal Study, Indian Lore, or Woodcarving. Scouts should pick one or two merit badges that interest them to work on during the week. Some merit badges are more advanced and are not recommended for younger Scouts; Scouts should talk to their Scoutmaster about which badges are right for them. Some badges have physical requirements or cover concepts that may be challenging for an 11-year-old to be as successful in completing. 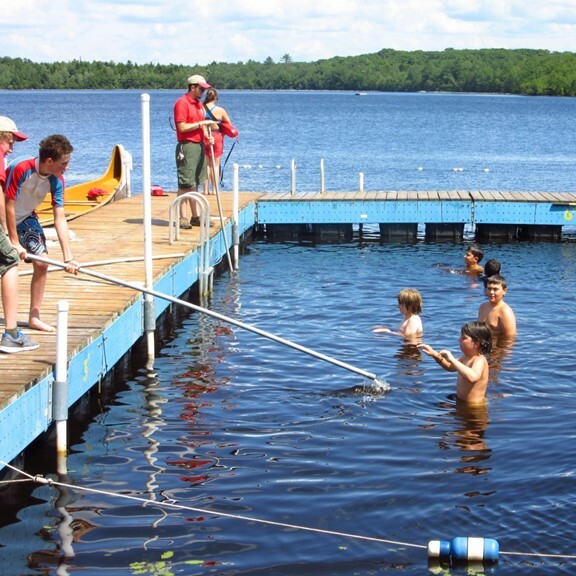 It should be noted that Camp Minsi offers an Instructional Swim class in both the mornings and afternoons; this is a great opportunity for Scouts who may not be strong swimmers to start learning or mastering their strokes. The Swimming merit badge is not recommended for Scouts who are not yet strong swimmers and may not be appropriate for all first-year Scouts. The Trail to Adventure program exposes Scouts to more than 50 requirements on the trail to First Class. At the end of the week, each Scoutmaster will be given a letter listing the Scouts who attended TTA each day and the advancement requirements covered. The Trail to Adventure staff does not sign-off the handbooks of individual Scouts and leaves the ultimate verification of each requirement up to the discretion of the troop leaders. Adult leaders are invited and encouraged to accompany their Scouts to TTA throughout the week. This allows leaders to provide assistance to the Scouts, see exactly what skills their Scouts have mastered, and is also a great way for newer adults to get involved and connected with the Scouts and skills in the Scouting program.